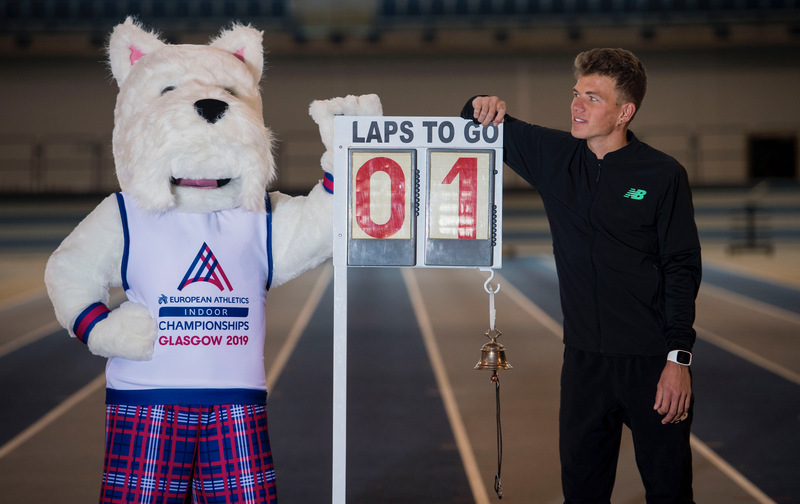 Stirling long-distance star Andrew Butchart has stoked the fire ahead of his clash with the Ingebrigtsen brothers at Glasgow 2019, saying the Norwegian pair ‘aren’t ready’ to beat him. The 27-year-old’s lengthy absence with a broken foot left the door ajar for Jakob, 19, and Henrik to claim a 5000m one-two at last summer’s European Championships in Berlin. Butchart is now back with the European Athletics Indoor Championships in Glasgow just a month away and can’t wait to cut down Jakob, the youngest-ever European champion. “Coming back to Glasgow, it’s a place for me to put myself out there, to show people I’m back, back for good and back to being the best,” said the Scot. “I broke my foot last year indoors and having the European Championships at home means a lot and the best target I could have had was to do well in Scotland. “The people of Scotland make it. I’ve heard of how it’s been before when big events have been here. The crowds have been fantastic – I reckon we can times it by 100 for Glasgow. “When I race, I’m going to try and involve the crowd, make it a bit of fun from the start. It’s a hard event and it could be one of the star events of the Championships. “I’m looking forward to it. I’m ready. “Everyone’s talking about the Ingebrigtsens. I don’t think they’re ready. “We’ll see what happens. I think they’re good but they’re not ready to compete with me, not in front of Glasgow. Butchart is Scottish through and through but his recent running story has mostly been played out Stateside. He is permanently based in San Diego with partner and 800m star Lynsey Sharp, from Dumfries, working with renowned coach Terrence Mahon. The track star broke his foot at a meet in New York last February – so it was apt his return to competitive action came at the New Balance Indoor Grand Prix in Boston last weekend. Birmingham will be the next focus for Butchart, with the British Indoor Championships and Muller Grand Prix in back-to-back weekends setting the stage perfectly for Glasgow. Despite seeing Stars and Stripes for much of the time, he swells with pride at the state of Scottish long-distance running. And with Andy Murray’s career hanging in the balance, the hopes of Dunblane – his Scottish base – now lie on his shoulders. “Dunblane is a good little sporting town and I’ll happily take on a leading role,” said Butchart. “Jamie (Murray) is still there though, I think he’d be right up there. It’s a shame about Andy maybe not competing. “People have spoken a lot about how Scottish distance running has come on in the past three or four years and no-one’s come up with an answer. “Someone performs and then the next person performs. I think that’s our biggest asset. “New names, new faces, new people appear all the time because they’re realising it is possible, they can be the best. “It’s a culture of achievement and that goes across the whole of Scotland at the moment.